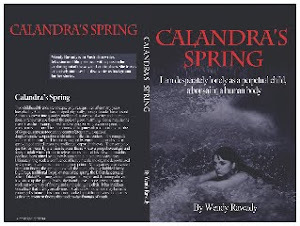 Calandra's Spring book: Warm and fuzzy books versus angst inducing ones. Actually, I like a bit of both. Books that terrify, (War & Peace, Little Bee) disturb (eg. anything by Kafka) or mildly frighten (pulp fiction including good old Agatha Christie books) can be good reads. Warm and fuzzy would include 'Le Grand Meaulnes' and 'Cutting for Stone' and so many other feel-good stories (Eat, Pray, Love). The trick is to combine the fright with affectionate moments and then you have a classic. I think that much of the work of Zola, Hugo and most of the French classic writers do that, squeezing terror out historical moments and happiness out of small moments of resolution along the way. I will think about this and see if I can build a list. Feel free to send your favourites. I believe a story is interesting and captivating if it goes beyond what happens in real life. Some stories, although terrifying, tell about the heroism in the heart of man. For this, I would say I find Golding's "The Lord of the Flies" unforgettable. Yes, that is a great example. The way he draws his characters is a key there too. Dickens, in that 19th century way of being the 'media' for the people, also does it but using caricature instead. David Copperfield is terribly sad, but also warm and loving.